SharePoint is a flexible platform designed to bring information, process and people together in more effective ways. SharePoint keeps your team engaged from any location and on any device resulting in faster collaboration and decision making. Is SharePoint the right technology for your situation? We help you assess the pros and cons of various technologies and develop a sound long-term strategy for your business. The ThesisTech team can help you sort through and optimize the many features of SharePoint. We work with you to design and implement new processes and workflows that make a difference for your business. 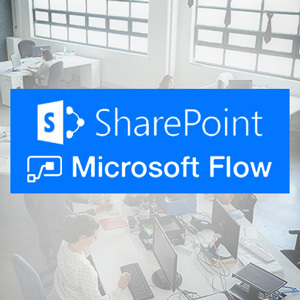 Microsoft Flow is used to build automated workflows within the SharePoint application. Our consultants start with a thorough process design and then implement this design using the Flow tools and connectors. Your SharePoint Intranet Site is a virtual gathering place for your team members. We can help you develop the site branding and layout that will make each employee visit informative and enjoyable. 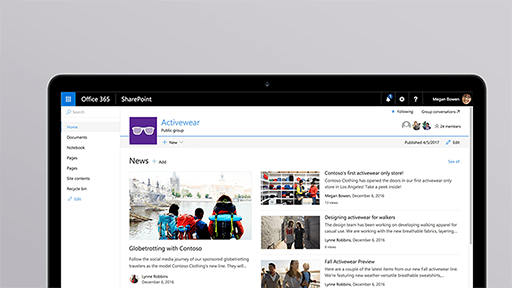 A SharePoint Team Site connects team members to content, information and apps. Our Custom Team Sites help Project Teams, Functional Teams, Adhoc Teams and Management Teams get the job done. We can assist you with extending SharePoint beyond your company and team. Expand your business relationships with parter and member portals. Engage you customers with public facing sites in SharePoint. ThesisTech can assist with business process mapping, brainstorming and redesign. An effective SharePoint implementation always begins with well defined business processes. One of the most common automated workflows we implement is for approvals. Microsoft Flow allows for complex conditional and parallel workflows. 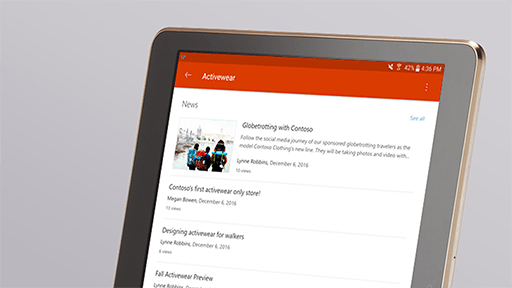 Approval requests are managed through Outlook or the Flow App. Another common workflow is for the automated notification of team members based on key triggers such as the addition of an item to a list, a change in a key document or an event in an external system. We use Flow to create workflows that automate repetitive tasks. For example, when a new lead is added to a SharePoint list, the contact is also automatically added to a MailChimp mailing list. Custom business applications and digital forms can be embedded inside SharePoint Team and Intranet Sites. Apps allow us to incorporate unlimited business logic inside your SharePoint application and workflows. 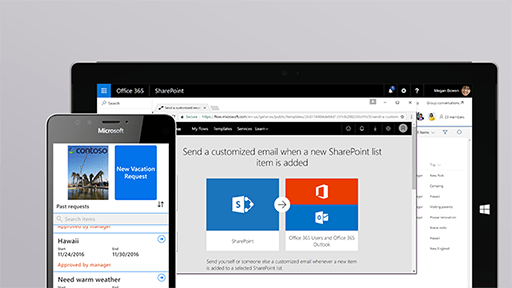 Microsoft Flow and Custom Apps built with PowerApps can connect external applications and data sources with your SharePoint application. We use this approach to extend automation beyond SharePoint. Microsoft Flow is a powerful web-based application that turns repetitive tasks into multistep workflows. Workflows are initiated by "Triggers" such as a new entry in a database or the modification of an item in a list. The trigger event initiates a series of "Actions" that often involve things like sending emails, moving data from one application to another or routing documents. Actions can be conditional and can also run in parallel with each other. The real power of Flow exists in its hundreds of "Connectors". Flow can be used to automate functions in applications such as Salesforce.com, MailChimp, LinkedIn, Twitter, SQL Server Database, Dropbox, Outlook, Adobe Sign, Act!, Excel, Google Calendar and many more. Microsoft PowerApps is a business application development platform which integrates seamlessly with SharePoint. We use PowerApps to build highly functional forms and business logic which interact with SharePoint lists, libraries, sites and other apps. PowerApps helps create a more intuitive and efficient user interface for team members and extends the functionality of workflows. PowerApps is the modern Microsoft replacement for InfoPath Forms in SharePoint. If you are interested in our SharePoint & Office 365 Services, please speak with one of our developers at (888) 705-7253. The business consultants at ThesisTech are dedicated to helping our clients maximize their company's success through the best productivity tools from Office 365. A leading consulting firm empowered all employees with Office 365 and SharePoint to foster collaboration and increase engagement. Workforce and Workplace changes prompted the firm to find new tools to help its employees succeed. An international oilfield services company had grown rapidly. The company's library of 40,000 process documents had become too complicated to manage. 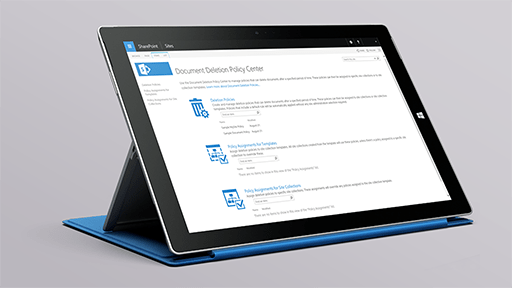 The company deployed SharePoint to allow its 5,000 employees to manage documents collaboratively with automated workflows. A homebuilding company needed an efficient way to engage and train their staff using video. The company chose Microsoft Office 365 Video alongside SharePoint Online. The company has empowered employees and lowered training costs by making it simple to share videos. A major food retailer realized a need to take team communication to a new level. Email was provided to only 20% of the staff. 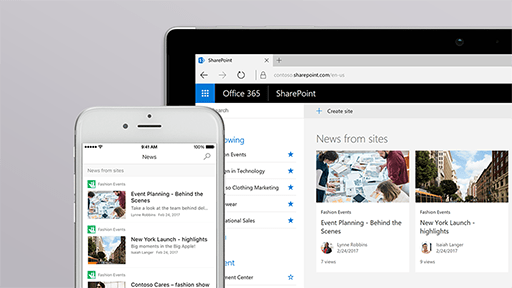 Office 365 and SharePoint were implemented to connect all employees in creative ways. Better communication resulted in new and innovative strategies. An IT consulting firm implemented an on-premise and cloud hybrid approach using SharePoint and Office 365. Employees can now find any document whether they are on the company network or not. These documents are accessible from anywhere on any device.